WASHINGTON, DC, February 2, 2011 (ENS) – Guangzhou, China has been named the winner of the 2011 Sustainable Transport Award for its new next-generation bus rapid transit system which integrates with bike lanes, bike share and metro stations. The Sustainable Transport Award is given each year in Washington during the annual meeting of the Transportation Research Board, one of six major divisions of the U.S. National Research Council. The annual award, offered by the New York-based Institute for Transportation and Development Policy, goes to the city that made the most progress during the past year to increase mobility, while cutting transportation greenhouse gas and air pollution emissions, and enhancing safety and access for cyclists and pedestrians. Since the system began operations on February 10, 2010, it has handled some 800,000 passenger trips daily. 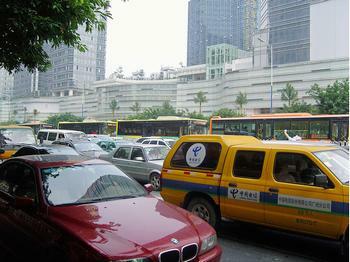 Commuters along the 23 kilometer Phase I corridor on Zhongshan Avenue save travel time and avoid polluting the air in this urban area of more than 11 million people. With a peak ridership of around 27,000 passengers per hour in one direction, Guangzhou’s BRT has more than triple the passenger capacity of any other BRT system in Asia. León in Mexico, home city of Mexico’s first BRT system, now achieving a level of integration unsurpassed in the region. Nantes in France, where the integration of its bus light rapid transit with its tramway network presents a model of efficient coordination and continues to shift people away from cars. 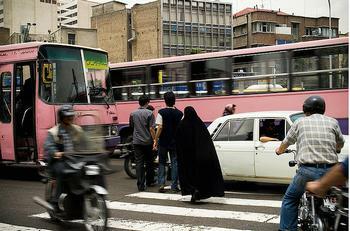 “Investments in quality rail and BRT are re-defining public transport in Tehran, and a move towards new cycle and pedestrian infrastructure is helping to transform mobility patterns as well,” Wright said, noting that the government has begun the process of reducing fuel subsidies. 2010 – Ahmedabad Municipal Corporation, Ahmedabad, India, for opening the first full bus rapid transit system in India. 2009 – Mayor Michael Bloomberg, New York City, USA, for making bold moves to achieve the ambitious goals of PlaNYC 2030. 2008 – Mayor Bertrand Delanoe, Paris, France for implementing a range of innovative mobility solutions with vision, commitment and vigor, and Mayor Ken Livingston, London, United Kingdom for expanding London’s congestion charge program and developing other low emissions programs that have cleared London’s air.